In the circles I run with, the penultimate weekend of October is kind of like Christmas. In a whirlwind 48 hours, 9000 competitors trek their $30,000+ carbon fiber boats to Boston to take on the turns and bridges of the Charles River. It's Head of the Charles Weekend, people. 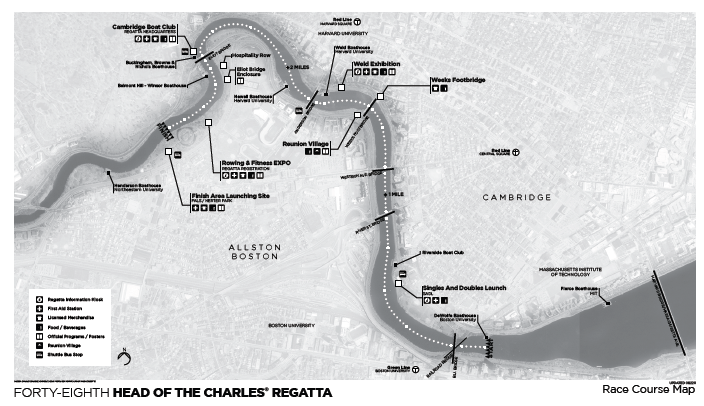 As a coxswain for the Northeastern University Men's team, I've steered this insane course for 12 years straight. From the start in the Basin, through Magazine Beach, down the long Powerhouse Stretch to the infamous Weeks Bridge turn, to Anderson Bridge, down the long 180 degree turn in the last mile, under the Eliot Bridge turn and a mad sprint to the line - this course is like my best frenemy. 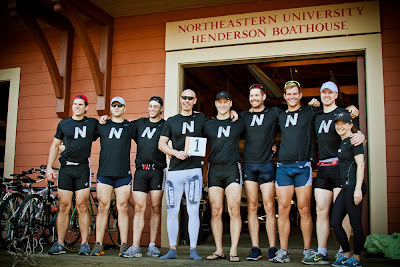 For the past 4 years, I've cox'd the Northeastern University Rowing Alumni (NURA). 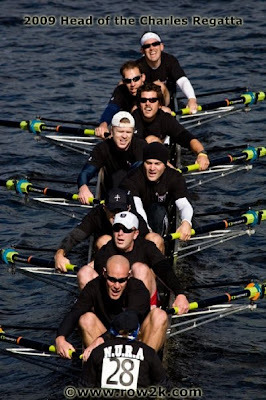 The first year we raced, we thought it might be fun to get the band back together when the HOCR announced an Alumni 8+ event. So, we gathered up all the usual suspects - dudes that were living in the area and were still willing to get up at 4:30am to train once a week - and commenced with getting their old-man asses back into shape. That year, it was all about NU and Dartmouth. We beat them. Actually, we won the whole event. The first ever Alumni 8+ Championship goes to Northeastern Men! The next year, we thought we'd try to repeat our victory. Why not...a little more pressure, a little internet inter-club trash talking, a little more competition. This time, Brown was sending a boat. And Dartmouth was sending two. Whatever. We got this. First. Again. NBD. So, in 2011, we had to go for the hat-trick. Obvi. This time, it was getting real. Now Brown, Dartmouth, Harvard, Cal and international Cambridge University were sending boats. Fast boats. Targets on our back, we took our best eight guys still living in Boston, and set out to hold onto our title. We did. Three-peat. 2012. The year of the Olympics. This sh*t was starting to get serious. 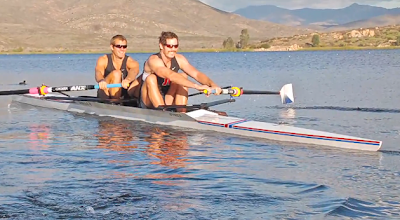 All the boys from all the schools come home to row for their alma mater. Brown has Olympians, Harvard has Olympians, Michigan has Olympians, Cambridge has Olympians, Cal is sending their entire IRA 2006 Gold Medal crew. WTF? What have we started? Ok, fine. Well, as it turns out NU has two young Olympians of our own: Dan Walsh '08 and Will Miller '12. And clear water with Bow #1...suckers. We get to the warmup area and the heckling begins. Harvard, "Don't freak out if you see a red streak blowing past you guys in the Powerhouse." Answer, "Nice ______, Rummel" (see this clip of the Daily Show to fill in the blank). Brown, "Maybe next year we'll actually train for this sh*t...see you at the finish line." Answer, "Yeah, better luck next year..."
Even the referee got in on the action, "Heh. Coxswains, move your boats up the chute into the starting area and let the trash-talking commence! But...uh...keep it clean, gentlemen, there's spectators within earshot..."
HOCR Disaster Warm Up Area. Then they call the race start. "Northeastern, proceed to the line and call your crew up to speed." Ok. Go time. 5 to build. Race pace. Starting 20 strokes at a 39 through the bridge, solid settle around Magazine, big 20 to push at Riverside, through the Western Ave bridge...first mile done. River Street Bridge, 20 stroke push into Weeks turn, blades inches from the bridge abutment, 20 stroke acceleration to the time check at Weld, thru Anderson...second mile done. Into the third mile, now it just hurts...breathing heavy, legs like lead...port side blades over the orange buoys and around the long turn. Eliot bridge...10 through the bridge, starboard side blades over the green buoys at Belmont Hill, around the last turn. 40 strokes to go...shift up to a 36...20 strokes to go....shift up to a 38....last 10....SPRINT! Slumped over, we look behind us and see...nobody. We had walked away from the field. Then bow #2, Brown, sprints their way around the corner. Then another long spread. Then more boats barreling to the line. There are 43 crews out there...good solid crews. And it's a race against the clock. We return to Henderson Boathouse, land, and wait for the results (trash-talking to the crews off our dock obviously re-commences..."how'd that feel, old man??!!"). BOOM. FIRST. With a new Alumni 8+ course record - 14:49! 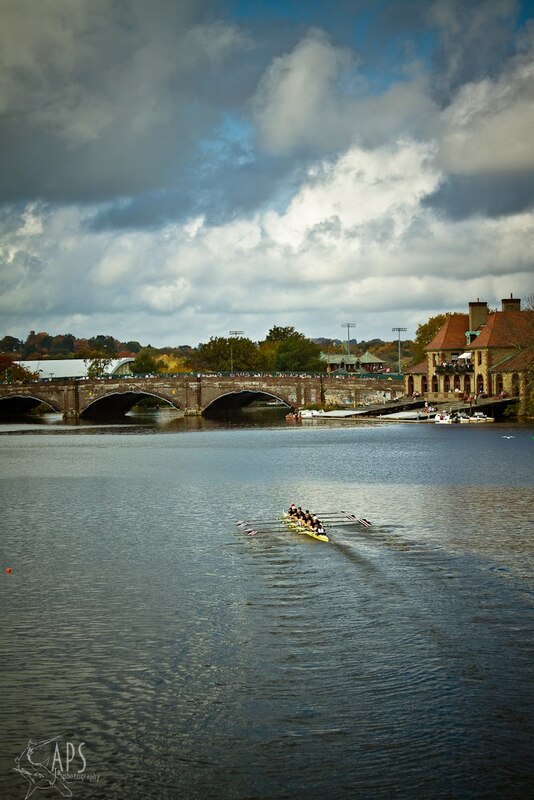 Cambridge University (Crabtree) finishes second, Brown third. An awesome race, with amazing competitors, and the best jawing rowing has to offer. One last sentimental note: We are proud to be graduates of Northeastern University. Thank you to Ernie Arlett, Buzz Congram, and John Pojednic - coaches that have defined the people we are today. We are better, stronger, more capable men and women because of the years we spent together in Henderson Boathouse. Go Huskies! Newer PostNutrition is Science, Don't Let it Confuse You. Older PostReading: Brain Candy or Vitamins?